There are many ways to stream media through the Kodi app. Whether you want to watch free movies, sports, or find something for your kids, there are lots of options. Kodi Live TV is one of them, and it’s something we are going to show you how to access in our guide. If you already have experience with Kodi, you may want to skip ahead to our main section which deals with enabling Kodi Live TV. We have also included a section for IPTV fans as well in case live streaming is not an option for you. Have you ever dreamed of having a central hub in your home to stream all your media from? Kodi provides that. You can pull media from your smartphone, media streamers and more, but that’s just one area of interest. There are different kinds of Kodi builds, and then there are the Kodi add ons. Both unlock new content and can allow you to watch live TV. In the past, that was difficult to pull off without paying a fortune, but it’s going to be simple through Kodi Live TV provided you have a little technical knowledge. Adding Live TV to Kodi ensures you will never have to miss your favorite show again. These Live TV addons can record your favorite programs, and you will be amazed at some of the cool perks you will get compared to a regular DVR. What’s your favorite gadget? Do you live and die with your smartphone or do you have a streaming stick in every room of your home? It’s a bit of a trick question, as Kodi can run on damn near anything. Seriously, you can put the program on your old PlayStation 3, and the Xbox is obviously a lock. While a few workarounds may be required in these and other cases, you will be surprised by the versatility of this little app. That said, the ideal devices for Kodi would be smartphones and tablets. Streaming boxes like the NVIDIA Shield or off-brand 4K boxes are also solid alternatives. There are a few gadgets that don’t play well with the app, but Windows, Mac, Linux and even the Fire Stick are all Kodi-friendly. That means you have a wide array of options if you want Kodi Live TV. If you download a lot of content from the web or hang around certain sites, you are going to see a lot of advertisements for VPNs. This stands for Virtual Private Network and is of the utmost importance if you plan to use Kodi Live TV on any device. Using a VPN gives you some privacy by allowing you to hook up to a server on the net. All the data coming from your PC is routed through that server where it’s encrypted, which hides your tracks in a sense. That’s the nutshell version, and if you are unsure where to get started, we can lend you a hand in that regard. Why do you need a VPN with Kodi? Well, you may not, but some of the content could get you red flagged or copyright infringement. While there are thousands of free movies and free TV shows on Kodi, the add-ons are a different story. It’s better to be safe than sorry, so use a VPN when in doubt. Our guide on Kodi Live TV assumes you are running the latest version of Kodi. While some of the add-ons we cover could no longer work, the overall process will remain the same when it comes accessing to live TV channels on the Kodi app. If you are running stock Kodi, when you try to click on TV, you are likely to get the message you see below. This is not what we want to see, as we are going after OTA channels we can pull from the airwaves. What you will want to do is go to the Add-ons section of Kodi in the sidebar. The location of this section (and others) may vary depending on your skin, but the sections stay the same. Once there, tap on My add-ons which pulls up a screen full of folders. Scroll to the one that reads PVR clients as shown. Here your choices will vary, and while we used the MythTV PVR Client, the choice is yours. Now things are going to get a little complicated depending on your skill level. You will have to manually configure the Kodi app with your network which could be too complicated for some. While we can’t install it for you, we can tell you “what goes where” to streamline the process for beginners. The MythTV PVR add on is a client, so you will need to enable the API services on your backend and alter quite a few settings. From the General tab of MythTV settings, you can set your Backend Hostname or IP address along with the Backend Port. This is also where you will address the Backend Port for API Services and set your Security PIN. This is the most crucial step, if you don’t set everything up right here, you won’t see any Live TV channels later. Next up is the preferences tab where you can tweak the layout to a degree. From here you can turn on or off the channels icons or enable fanart thumbnails. Want to keep your Kodi Live TV recordings out of sight? You can do that with the flip of a switch. There are also toggles to set a prompt about deleting recordings or show inactive upcomings. You can skip commercials (EDL) every time, only when they have dialog, or watch them all the way through. The same filters apply to Group Recordings by Title as well. Just like the Kodi app itself, MythTV PVR is highly configurable. Recording Templates are an interesting addition to MythTV and something not found in previous versions. These are “rules” you set for when Kodi records live TV and something you may not find in other add-ons. The configuration settings truly do vary across the board with add-ons for recording streaming channels through Kodi. From here you can set the program to follow Kodi’s internal rules or those of MythTV. You can tell the program to download metadata for each recording or set it up to delete your old ones as needed. You can transcode recordings into different formats. The advanced section has even more settings to twist and tweak as well. If successful, you will be able to see your TV channel listings from the Live TV section of Kodi. If not, retrace your steps and double check the settings for your Host and PIN. Kodi Live TV is nice, but it is far from the only option when it comes to streaming your favorites. IPTV is another way to go, as you are getting your signals through an internet connection. For this step, you will want to head to your File Manager from the main screen of your Kodi Krypton release. Once there, select Add Source from the left side of the screen which brings up a new box. From here you need to enter the name of the source you want to use by clicking None. After that, rename your source, and it’s time for step two. Back at your home screen, click Add-Ons then select the Package Installer icon. As always, make sure unknown sources are turned on in your Kodi settings. You will want to select Install from Zip File, and as we used Kodi Isreal, we’re looking for that particular zip file in our example. When you have located your file, select it then wait for a message letting you know it’s installed. Now you need to select Install from Repository, then the Kodi add-on in question. From there simply navigate to the section you need. In this case, that would be the Video add-ons folder. Now you are at the heart of things and can choose a suitable Kodi TV app for your needs. We are going with Cerebro IPTV+, but feel free to choose your own as always. 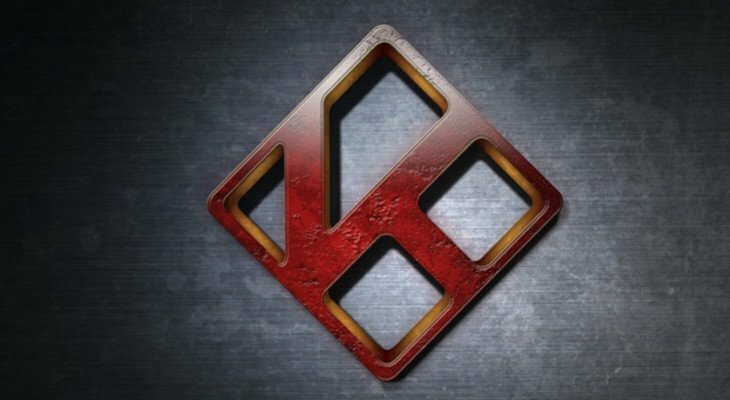 Again, we will need to install the Kodi add-on from the repository and wait for a message. When you get the message that means you are good to go. It is also time to head back to the home screen one more time. If you want to play around with the settings for your add-on, you can adjust a few things from here, set it to auto-update or disable it as well. Now it’s time for the good stuff. As you can see, we have an IPTV folder along with UK Geo Lock and a slew of others options. Under Geo Lock, you have ITV Player, TV Catchup, TV Player, and BBC iPlayer. Want to check out CBBC, BBC One North West or One Cambridge? You can, and Modbro has plenty available as well, and the same can be said of Pak India Sports. You can install as many addons for Kodi as you would like, so don’t limit yourself to the channels or add-ons in our example. A few fan favorites include Rising, Tides, UK Turks Playlist, cCloud TV, and BoB Unleashed. That wraps up our guide to Kodi Live TV, and by now you should be able to navigate the menus with ease to find the content you want. IPTV is something to consider regardless of live television streaming. While it’s not quite Kodi Live TV, it’s a welcome sight for folks that can’t use Live TV due to device restrictions or other reasons. I would to see baseball is it available on Kodi live tv? When the season starts, you should be able to find plenty of baseball games through Kodi and the add-ons. I’m not sure about spring training games, but some may be available.